The Yummy Mission of K.I.T.K. Kids in the kitchen (K.I.T.K.) is a fantastic program for children to get together, get creative and get cooking! We gather around in the kitchen, make wonderful nutritious foods and delicious treats. The chefs explore a variety of cuisines and artisan dishes as well as traditional Jewish foods. 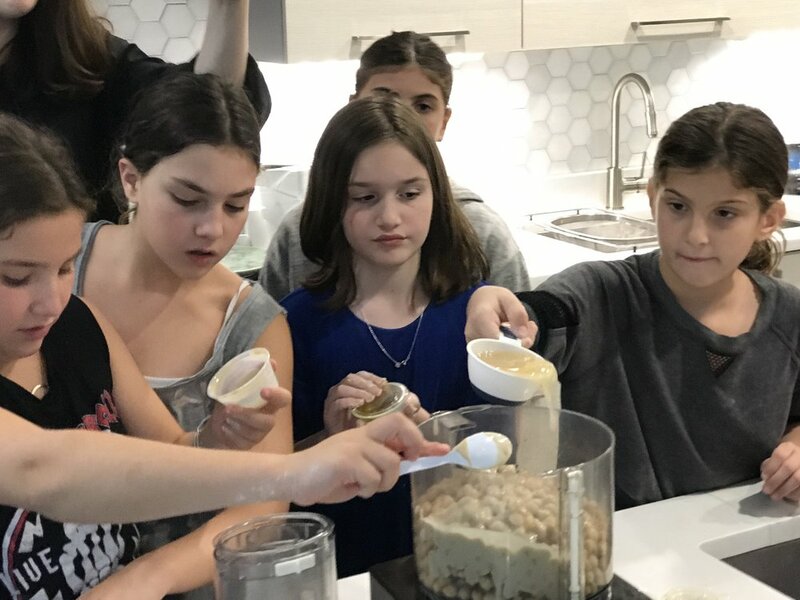 There are lots of opportunities to learn about Jewish holidays, traditions and values all while learning valuable cooking techniques and skills in a super fun upbeat environment were each child gets lots of personal attention. We are so excited to announce the next 3 dates for our favorite program "Kids in the Kitchen" and we really hope to see you!! !